On the 20th of August 1947, 16 German physicians were found guilty of heinous crimes against humanity. They had been willing participants in one of the largest examples of ethnic cleansing in modern history. During the Second World War, these Nazi doctors had conducted pseudoscientific medical experiments upon concentration camp prisoners and the stories that unfolded during their trial – The Doctors’ Trial – were filled with descriptions of torture, deliberate mutilation, and murder. Though the nature of their crimes was undeniably impermissible, the doctors’ defence argued that their experiments were not so different from others that had been conducted prior to the war. They claimed that there was no international law governing what was, and what could not be, considered ethical human experiment. As a result, the judges presiding at this tribunal recognised the need for a comprehensive and sophisticated way to protect human research subjects. They drafted the Nuremberg Code: a set of ten principles centred upon the consent and autonomy of the patient, not the physician. 2017 marks 70 years since the creation of the Nuremberg Code, and its influence on human-rights law and the field of medical ethics is undeniable. 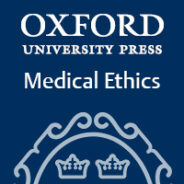 Discover the history of medical ethics, from Hippocrates to the present day, in the interactive timeline below. Featured image credit: An alchemist reading a book; his assistants stirring the cible on the other side of the room. Engraving by P.F. Basan after D. Teniers the younger, 1640/1650. Public domain via Wikimedia Commons. Charlotte Zaidi is a Marketing Assistant in the Oxford office of Oxford University Press.